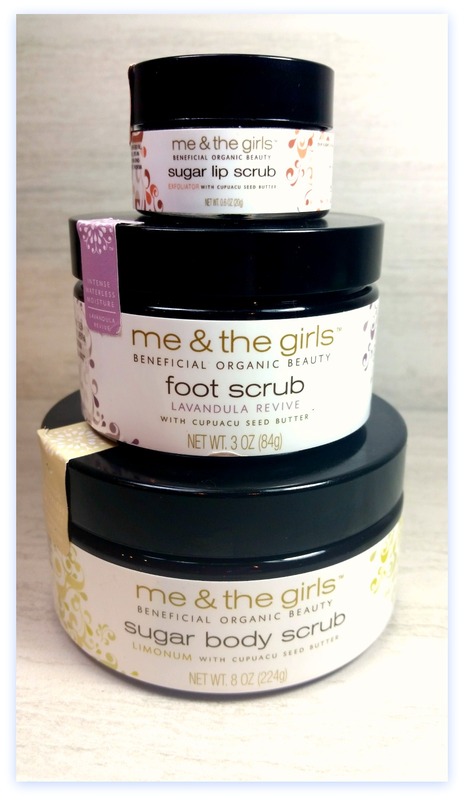 If you’re new to “cupuacu” in skincare, I hope you’ll appreciate my “Me and The Girls Review”! 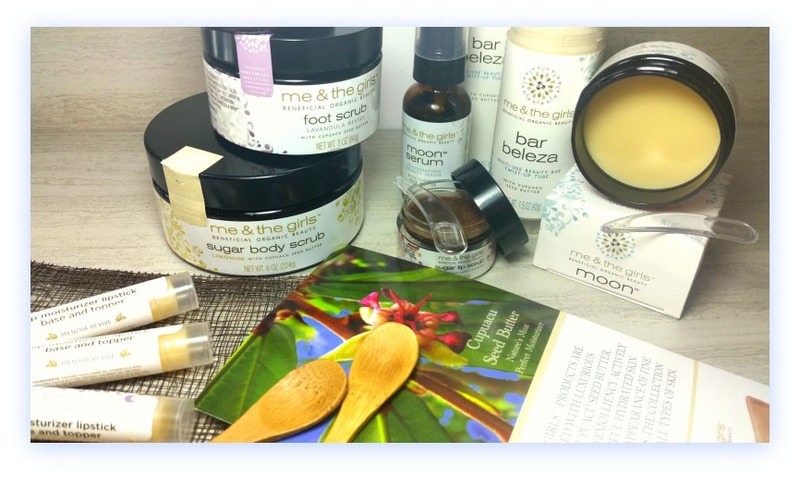 ME & THE GIRLS products are just that, formulas that always contain luxurious- amazonian cupuacu butter OR seed oil. When I was given the chance to try their entire line, you can bet I jumped all over it! First though, understanding why “Me and The Girls” products work so well, also means understanding their main ingredient: CUPUACU! 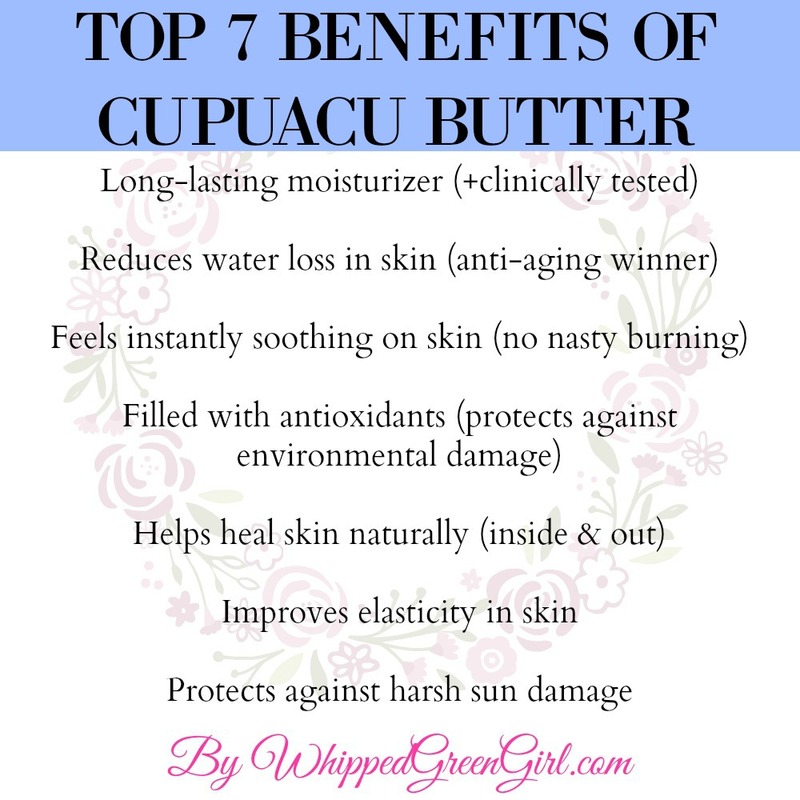 Cupuacu Seed Butter is a skin superfood. Often used as a key ingredient in anti-aging products, it’s also an amazing emollient and moisturizer. Don’t worry about your skin type either, it’s great on all: oily, dry, acne prone, sensitive etc…! Why would “Me and The Girls” love this butter so much (enough to base an entire line on it)? Always made with love, in small batches. 98.99% of the ingredients used by Me & The Girls is certified organic. Having it on hand was so beneficial for my entire family, not only my aging skin. ($40USD – 1oz. 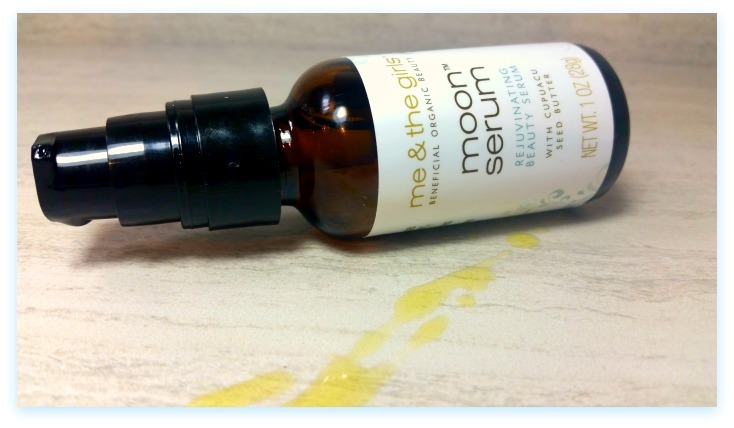 dropper bottle ) Trying Me & The Girls “MOON SERUM” was worth every application. First, the pretty smell… Kinda like my grandma’s delicious brown sugar oatmeal (yummy, for real!) Essentially, it’s the natural scent of cupuacu oil mixed with sweet vanilla. Secondly, it goes on skin like butter. Absorbing way faster than most serums I’ve tested. For that reason, I love using Moon Serum on no make-up days. It leaves no oily face trace and soaks-in instantly. 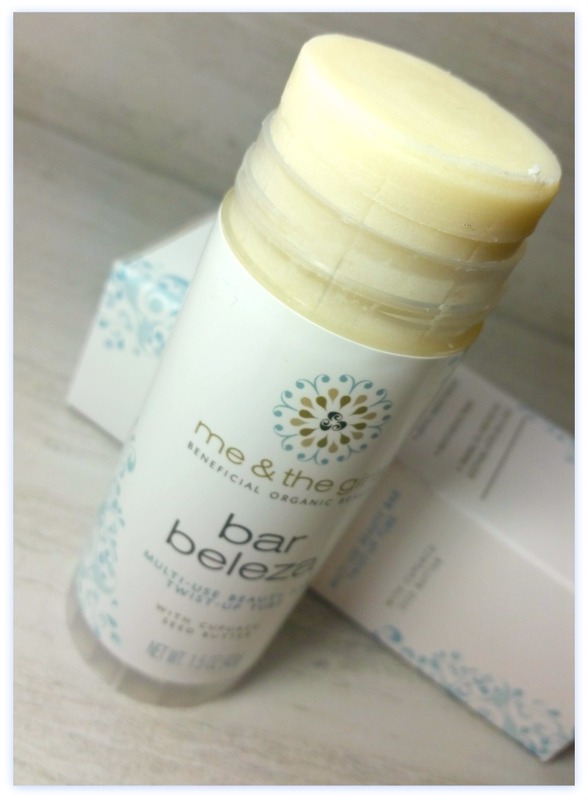 ($42USD – 1.5oz tube) Second fav: the BAR BELEZA (a multi-use lotion in a twist-up tube.) Use it as a cleanser, a moisturizer, or night lotion- it’s the tube that just keeps giving! Used it morning and night on my face/neck. Adored the little scoop it came with too. 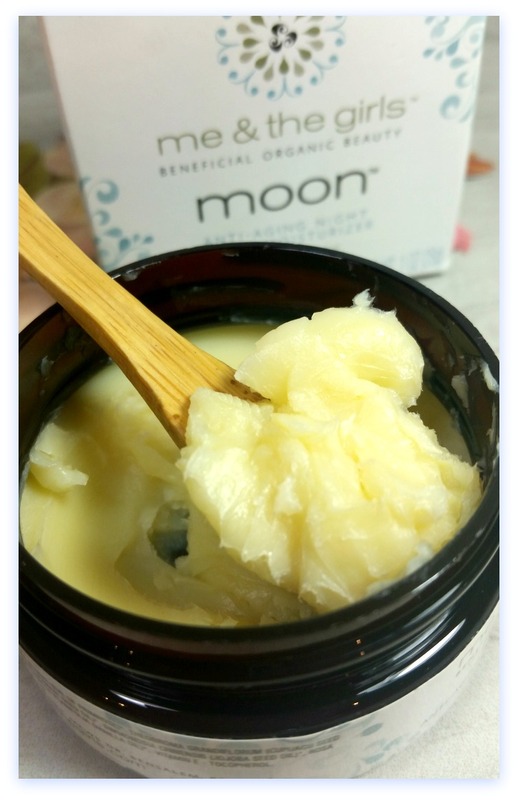 Since MOON Anti-Aging Night Facial Moisturizer is a butter-based product (shea butter, cupuacu butter & coconut oil…) it’s temperature sensitive (melts when heated, gets hard when cooled) Considering it’s pre-winter season here mine was pretty firm. But oh man, does it melt well when it hits skin- instantly, turning into – what I’d call a soft, rich, face serum. Great on sun-damaged skin, this is the ultimate, superior moisturizer out of the Me and The Girls’ product line. Probably the richest most luxurious, high-end too. 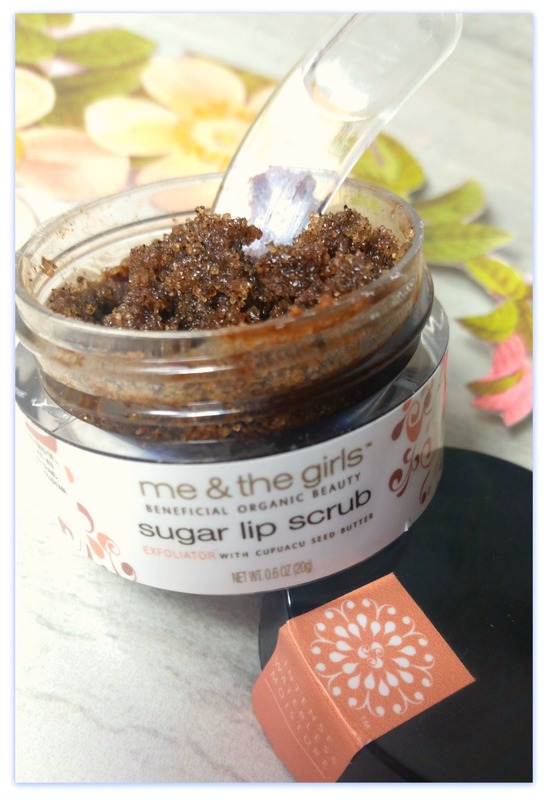 New to “Me and The Girls” line is a Sugar Lip Scrub – it was a joy on my dry, cracked winter lips. Taste-wise, I’d compare it to a nutty/vanilla coffee. Not only does it exfoliate, it made my lips soft again. Often we forget to pamper our pouts, using a quick sugar lip scrub only a few times a weeks works wonders. Appreciated the texture, this lip scrub is super moisturizing + instantly gratifying. Didn’t hurt I was also given a few “Me and The Girls” chapsticks (LIP MOISTURIZER sticks $7USD) to use after the lip scrub. Vegans rejoice, this minty, reviving chapstick is beeswax free too. Candelilla wax is used instead. 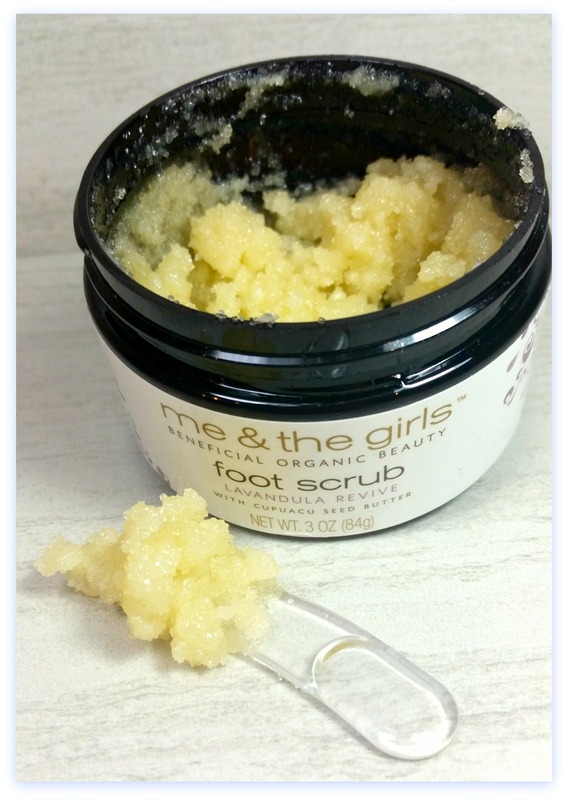 Wow, this foot scrub smells amazing – peppermint/spearmint! Get your freshest feet by buffing this stuff on 2 to 3 times a week. Also appreciate the warnings from Me and The Girls (getting this stuff on surfaces makes them slippery.) Take heed, I used it just before stepping into the shower to avoid making a mess and tripping everywhere. Revive Foot Scrub is strong and seals into skin all the rich moisture contained within. Rich in peppermint/lavender and thick with butter it’s 5 stars on feet. 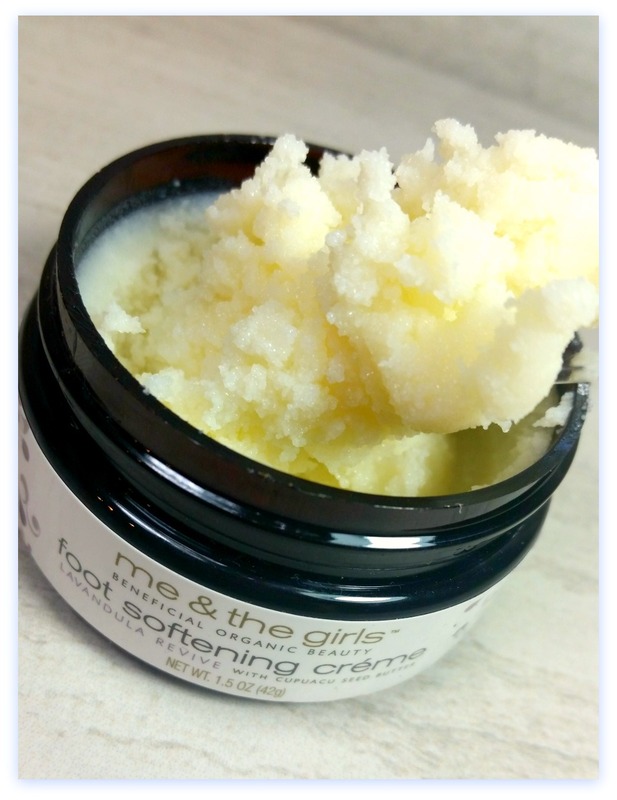 Quoting “Me and The Girls”… if your goal is getting “beach, flip-flop ready feet”, this is the cream for you. Found myself using this stuff on my feet after a hard day of work too, it’s a nice little “at-home-spa” touch. 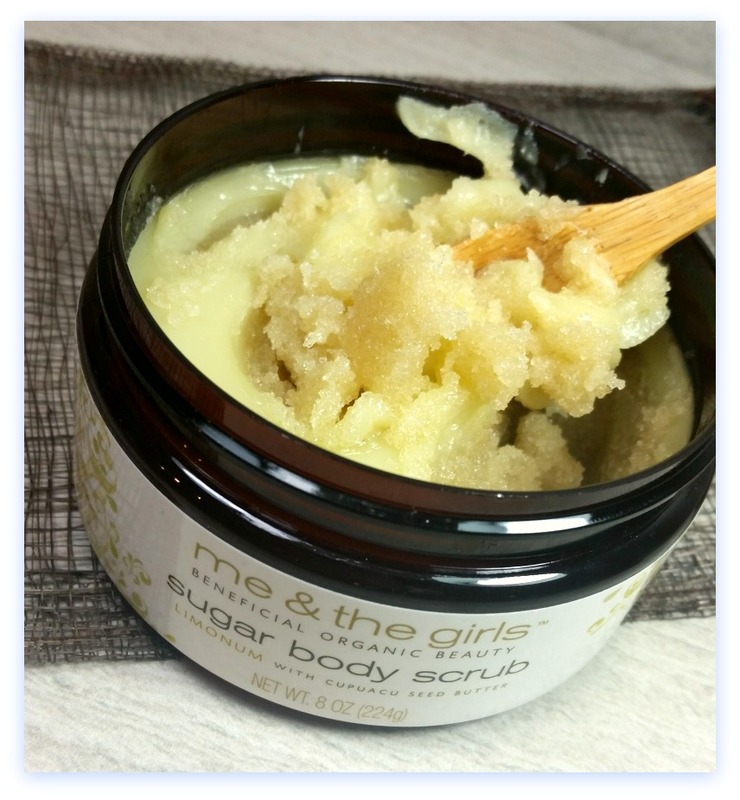 Last but not least, the award-winning SUGAR BODY SCRUB! Yup, my TOP FAV out of the 3 scrubs! Smelling this stuff alone makes you happy, bright citrus essential oils! 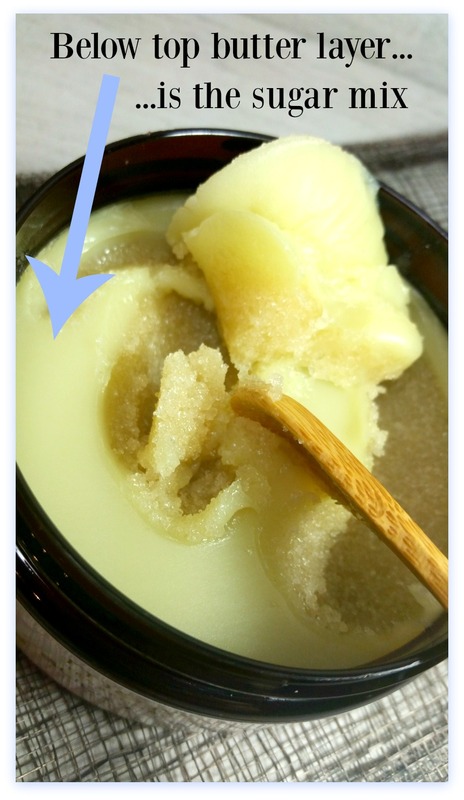 Usually not a huge scrub fan- SUGAR BODY SCRUB alone made me a believer again. Adored the bamboo spatula for application, makes it super easy to get the thick butter scrub out. Trying to work with pure, organic (practically edible) skincare is a hard skill to master. Heck, making it smell good naturally alone is a real trick. Their products last too – showing a minimum shelf life of +1 year. Zeroing in on cupuacu was a clever move. 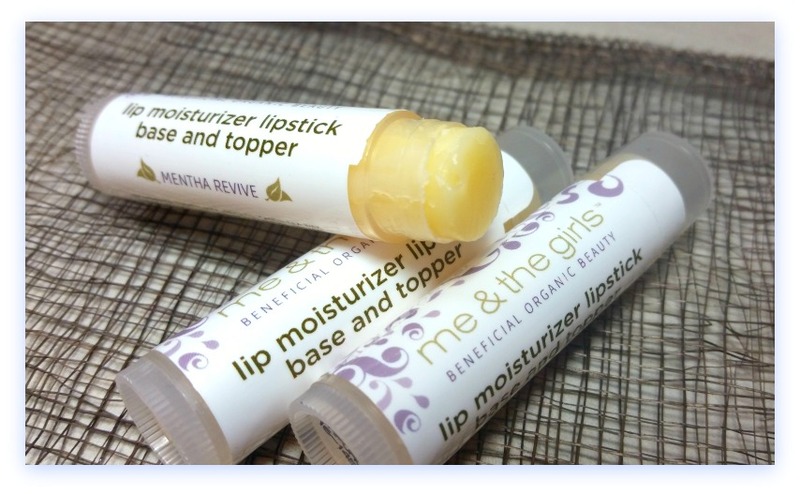 Makes “MeAndTheGirls.com” standout in the skincare pack. 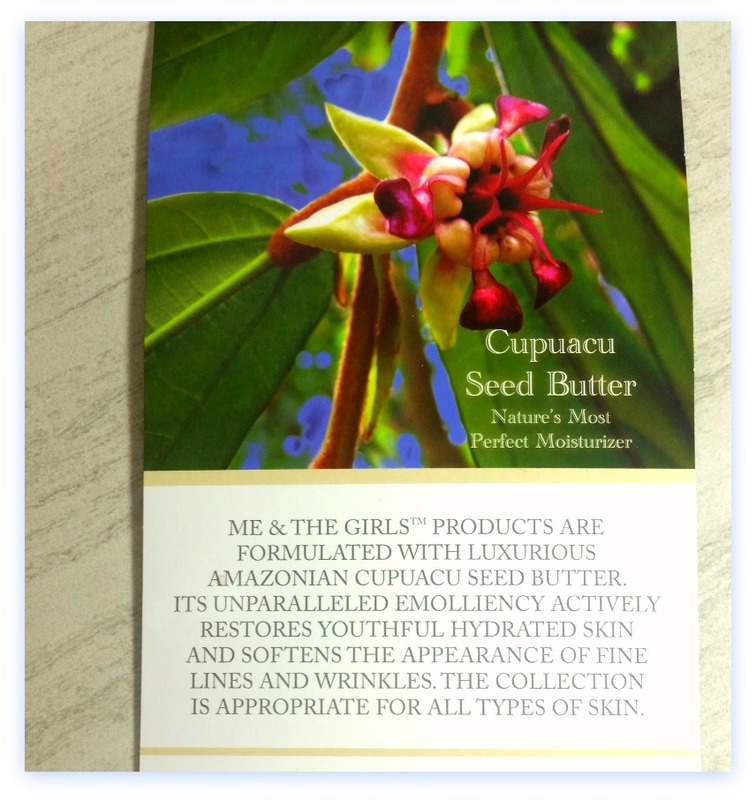 Faced with hoards of new organic skincare companies, I prefer to zone in on the ones mastering one single ingredient (i.e: oil or butter…) Exactly what “Me and The Girls” have done with cupuacu butter. Flexible products created for health-minded skin freaks (like myself) or anyone who’s a rich butter lush. After a few uses, you’ll understand why I’m preaching it’s a skin thrill! With Christmas also around the corner, I’ve been eyeing this great family gift! 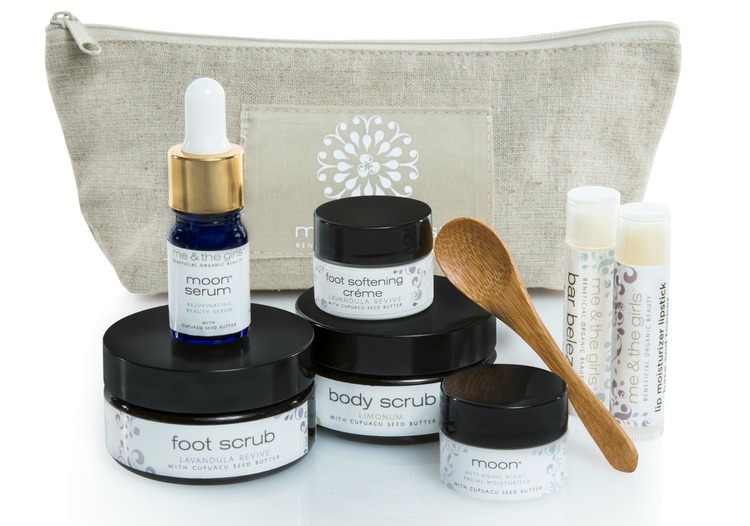 An “8-piece” Luxury Trial Travel Set ($65USD)! Thanks beyond for coming to see my “Me and The Girls Review”. Check out their STORE , FALL/WINTER line , and info on all their INGREDIENTS. Since it’s all good they got nothing to hide! Wow, these products look and sound divine. I honestly can’t even pick a favorite. Although, that Moon Serum looks like a good place to start. 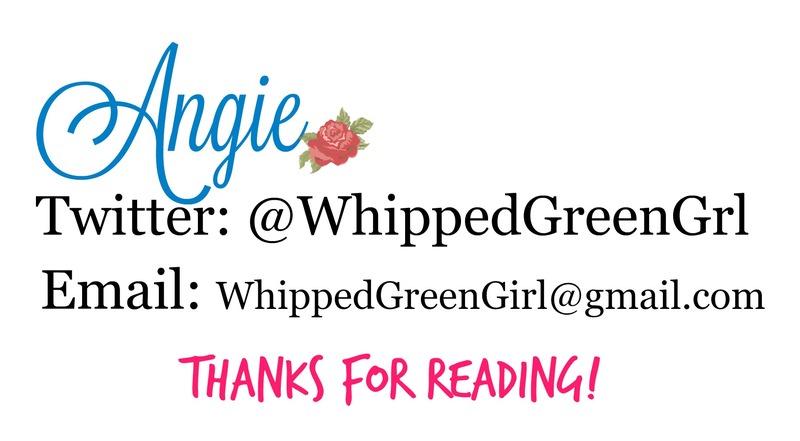 I love TRULY natural beauty products – thank you for reviewing them. I’d love to give them a try now.